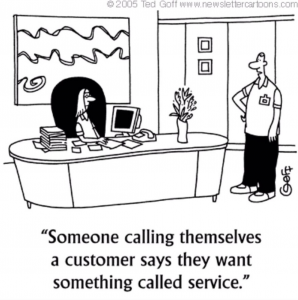 Customer service can make or break your business. In fact, the 2017 Microsoft State of Customer Service report found that a staggering 96% of consumers worldwide indicate that customer service is the defining factor for them when it comes to brand choice and loyalty, making call center quality assurance mandatory to optimize customer experience. Customer service is what sets your company apart from the rest. Products and pricing can always be matched, but truly understanding and supporting your customers can’t. That’s where your contact center comes in. Their interactions with your clients can drive loyalty in a way your sales and marketing departments rarely can, and these agents are more than just a warm body answering the phone. Contact center agents will likely be the first point of contact when dealing with customers. They’re the people who will explain your product and its use. Also, they’re the ones your customers will remember most. Customer service is critical and you need to know that your agents are doing their very best work. Are they efficient, effective, and helpful? Do they know the ins and outs of your company and what vision and mission it’s working towards? If you don’t know the answers to all of these questions – don’t stress! Voxjar will never leave you hanging. Here are 4 best practices that will keep your contact center performing and your customers happy. Your quality assurance framework will act as your guide to monitoring your contact center team, but don’t build it in a silo. Include contact center team leaders and agents, as well as company executives, to ensure a broad range of ideas and buy-in. How will you score calls; what will be on the scorecard? Who does the monitoring and evaluating? What time period and number of calls will you evaluate? Who will review the data and recommend improvements? How will you implement improvements? It is impossible to accurately monitor and evaluate for quality if you have a moving target. Establishing a framework will make quality assurance monitoring scalable and repeatable; and, it will also provide your contact center agents a guideline for handling calls. Once you have a framework in place, it is important to regularly measure, assess, and improve. This requires analyzing data for insights, which become feedback in your improvement cycle. Software like Voxjar can gather and analyze the large volume of data that comes from having a robust quality assurance and monitoring plan. It helps identify trends in complaints and compliments and helps determine what changes will have the biggest positive impact. It’s so tempting to focus only on correcting agent performance. You want them to be the best, after all. But, spending most of your time picking apart less-than-stellar performance by your low-performing agents can be very demoralizing for your team. You figure out what works best for your customers. You uncover new tactics and practices. Other top performers can use this information to perform even better! Of course, don’t lose sight of your lower performers because it’s still vital that you stay on top of compliance violations and directly address agents who are not representing your company well. Also, remember that your metrics for agent performance monitoring should be a guide, not a cage. Agents that consistently rate high in customer satisfaction should be praised even if their average call time isn’t great because these agents are taking the time to make a difference to your customers, and that is what will keep your business thriving. With proper agent monitoring, team leaders can offer suggestions to improve call handling time while still exceeding customer expectations. Now that you have an idea of areas of improvement, you need to provide coaching to your contact center agents based on the data. But, before running off and setting up weekly meetings with every member of your team, we need to talk about the markings of an effective training plan. Many companies rely on what I like to call the “status quo” training model. This involves department-wide training that typically occurs on an annual basis. During the rest of the year, agents meet regularly (monthly, quarterly, sometimes weekly or semi-monthly) with their team leads to review their quality scores. There is nothing inherently wrong with this training model. It has served contact centers well for quite a long time. Having said that, it’s clear that times they are a-changin’. If you’re not getting the level of performance from your agents that you want, maybe it’s time to try something new with their training. As you can see, professionals today simply don’t engage in training that requires more than 5-15 minutes at a time. When you consider this along with the importance of keeping your call center actively taking calls, it makes sense to provide training and coaching in bite-sized, more personalized pieces. Training and coaching should not be viewed as one-off processes. 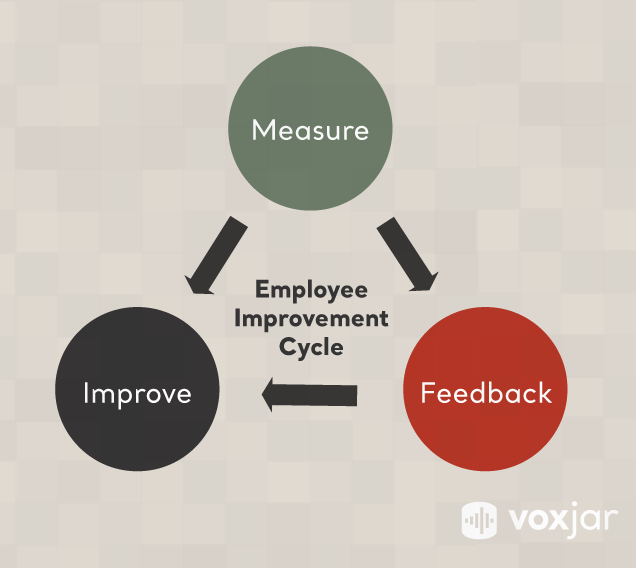 Voxjar helps you provide immediate, consistent feedback to individual employees that goes beyond the standard “here are your quality scores” conversations that tend to happen too infrequently, anyway. I know change is hard. But let me assure you that even if you have the best possible quality assurance framework around, there will come a time when it just doesn’t make sense for your company and contact center. Listen to your team and pay attention to the call analysis that Voxjar provides. Your top agents can provide valuable insight and feedback on the quality assurance process. Their experience dealing with customers makes them a prime resource for rewriting scripts that will resonate. They can also help your team leaders and managers get a better understanding of how your quality assurance framework impacts them day-to-day. Better still, they can offer up ways to improve the framework! Take the time to recalibrate and involve your team in the process. This will help you stay ahead of the curve and continue providing stellar customer service. We’ve covered quite a bit of ground, so let’s recap a few key points. First, customer service is the most important thing to your customers. This makes your contact center the most important part of your business. As a small or medium-sized business, your contact center helps you develop vital customer relationships. Next, your team leaders should always be monitoring, evaluating, and providing feedback to contact center agents. Further, it’s so important for communication to flow both ways. When your agents are willing and able to come to you with concerns and questions, your level of service will only improve. In addition, team leaders, agents, and executives need to work together to make sure that your quality assurance framework is relevant and providing important information that can be used to make agents better. Finally, treat your quality assurance framework as a living document. Don’t be afraid to change it if it stops giving you the information you value. Remember that you and your team are in control. Voxjar is here to make it easier.